Creatively Speaking is designed with "creatives" in mind and features weekly 30 minute interviews with authors, writers, publishers, playwrights, screenwriters, artists, speakers, actors, filmmakers, healers, stylists, musicians, ministers, business owners, and just about anyone who creates anything (but chaos). 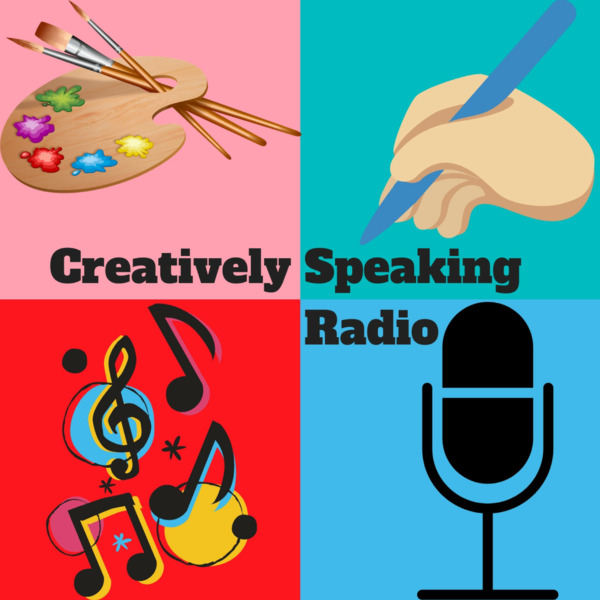 Listen every Saturday at 9-9:30am PT, or be our guest by scheduling your interview at creativelyspeaking.as.me. Jamell Crouthers is a poet, author, blogger and podcaster who has taken on the journey of trying to change the world, one book at a time. His books are in poetry prose format dealing with societal issues. His podcasts consist of world issues. His blogs are motivational and inspirational in accomplishing your goals, and he also discusses his books from time to time. To learn more about Jamell Crouthers and his work, please visit aquarianmind.info, and subscribe to his Podcast: The Aquarianmind Podcast on Podbean, Spotify, Google Play, iTunes or Stitcher. Bob Lancer has been on the spiritual path for over 4 decades. He teaches individuals how to live authentically, in the joy of fully exercising their gifts and talents and experience the full, abundant support of the universe in all areas of life. To learn more, about Bob Lancer and his work, please visit boblancer.com. Author, Mariuccia Milla shares information about her book, Meet Me in Milano. For more information, please visit medium.com/@maryscipioni or follow her on Facebook or Instagram @mariumilla. Synopsis of and excerpt from Iris & Lily, novel series for women, co-authored by sisters Angela and Julie Scipioni. To learn more about the Iris & Lily novel series and authors Angela and Julie Scipioni, please visit: irisandlilythenovel.com.